We are excited to share the big news: In the upcoming months we will release a completely new PowerBot version, which will add a whole range of new features to the system. PowerBot 2.0 stays lightweight and enables you to trade on different exchange systems, with Nord Pool being the first one to be integrated. New is a possible market access to other companies, an execution logic which increases the efficiency of your order placement and many more smart features. If you are interested in what’s ahead, give us a call or drop us an e-mail. PowerBot improves your intraday trading on European power markets and is a flexible and lightweight web service. It is a software, which allows you, among many other features, to automate trading on the intraday market. Whether you are an independent power producer or a large multinational trading company. Whether you would like to automate a simple trading strategy, create multiple complex trading algorithms or design your own intraday applications, PowerBot is your best choice. PowerBot is a cloud based software, scalable to your needs and takes care of your operations. Above all, the implementation of PowerBot is extremely easy. In a nutshell, PowerBot is designed to make tasks on the intraday market extremely simple and to hide the complexity of trading at an exchange. With PowerBot analysts or traders deploy new trading strategies to the market within a few hours of work. From a technical point of view, it is a hosted web service, which is administered via a standardized API (REST). This allows you to control the intraday market out of any programming environment using libraries, e.g. from Python, R or .NET. To sum up, PowerBot is an extremely efficient, affordable and modern service for trading on the intraday market. Implement your own trading strategies and deploy them to the market, it will only take you a few hours until they are ready for use. PowerBot is set up in a minimum amount of time, which saves money right from the beginning, and then works very cost- and time-efficiently. Use the market replay feature to backtest the success of your algorithms against the market. This can be done without any extra efforts. Benefit from our framework and build your own intraday applications, in a short time period and in your preferred programming language. Currently PowerBot supports all intraday exchanges, which are based on the M7 system of the Deutsche Boerse and the Nord Pool System, e.g. EPEX, Nord Pool, HUPX, BSP Southpool, SEM-O etc. Due to the high popularity of these systems and the European XBID mechanism, you can trade most of the European electricity intraday markets using PowerBot. We are certified as an ISV (Independent Software Vendor) by EPEX, NORD POOL, HUPX amd BSP Soutpool. If you are interested in using PowerBot on other markets, do not hesitate to get in touch with us. By the way, the integration of other exchanges is on our roadmap, so if you are interested in other markets please contact us for further information. PowerBot is a modern web service that provides a simple to use control interface and allows you to save costs by automating your intraday electricity trading with minimal efforts. The system is licensed on a software-as-a-service basis and easily integrates in an existing software environment. It should be your preferred choice if you are looking for a flexible, lightweight and affordable solution for the execution of your trading strategies. With PowerBot you can expand algorithm-trading on a pan-European basis or support your traders with semi-automated trading. PowerBot is provided on a software-as-a-service-principle and is easily integrated into your current system, as well as removed again. You will be implementing a hosted microservice and thus can avoid a high initial investment, as well as cost for local IT infrastructure. With PowerBot you do not have to bind your company to vendors of costly ETRM suites and hence makes you keep more autonomy. PowerBot makes it simple to creat trading algorithms and it is extremely easy and fast to implement your trading strategies. Due to the low complexity of the system, analysts or traders may implement the tool in a scripting language (mostly Python) within a few hours. With the right algorithms, you will have the automated trading system, you were searching for. Our service allows you to create not only fully automated but also semi-automated trading solutions. You and your traders will be supported by functions like order splitting, automatically generated orders or market surveillance for trading opportunities. Use PowerBot as an additional support to your trading team. Use our graphical user interface (GUI), either through a desktop application or a web-application. The GUI also has the possibility to be adapted to your needs and desires. Within PowerBot, you are able to monitor the market as well as execute your trades. A central signal management module in PowerBot allows you to store trading signals, derived from time series, in the server module. Signals are automatically aligned to the corresponding contracts in the order book, which reduces complexity while creating the algorithm. Signals are automatically archived and are saved together with the trade history. 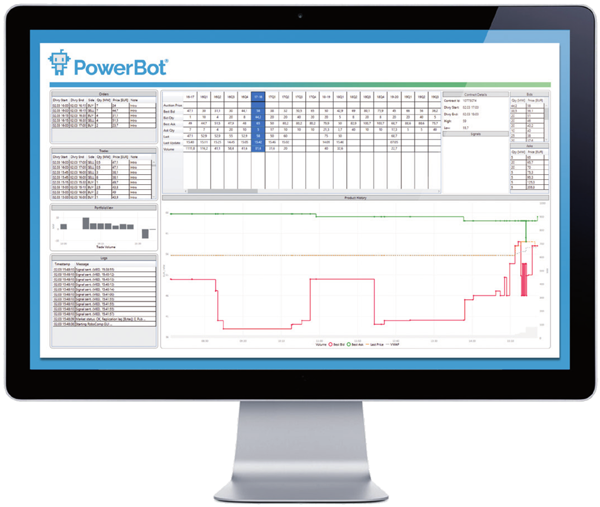 Integrate the functionalities of PowerBot in other applications like virtual power plants or dispatching programs, by making use of the PowerBot programming libraries. Exectue orders at the market with only one line of code in your application. Register internal trades between different algorithms or portfolios via PowerBot to avoid trading fees to the exchange. Cross trading between algorithms is automatically detected by our system and trades are registered as ‚internal trades‘ for report to an ETRM system. Connect your applications and algorithms to the PowerBot simulation environment for testing before deploying them into production. Our test environment is connected to the exchange’s simulation servers. PowerBot stores all information received from the market in its huge database. This allows you to export all trading data ex-post for further analysis and backtesting. You can even synchronize the data into an internal database. Schedule your trades with automatically created nomination files (ESS-standard), which come from PowerBot. The system allows you to register trades with third parties in order to create nomination files that cover all of your trading activities. Create risk limits for your automated trading in our ‚watchdog‘ to monitor trading behaviour. If something should go out of hand, the risk management module will block algorithms in creating orders beyond risk limits. Our access rights management is based on API keys (passwords). This allows you to control which user or module has the right to access the markets, create orders or generate signals. PowerBot is a cost efficient solution for automated trading, which delivers a flexible and professional product at a competitive price. Implementation of PowerBot is done in a few days and initial cost for deployment is comparably low. PowerBot is a redundantly hosted microservice that connects to power exchanges and provides a standardized API (REST/OpenAPI) to retrieve data and control actions on the intraday market. This approach hides the complexity of the M7 or Nord Pool system. Each customer has its own, isolated instance, realized as a virtual server, of PowerBot. The instace can be accessed by the use of API keys and a configurable access rights system. Applications that connect to PowerBot usually include a GUI, delivered to you as open source in code repository, as well as one or more algorithm scripts, usually in Python. They operate on the PowerBot libraries and make it extremely easy to develop new strategies. Using our libraries, also completely new applications can be created (e.g. custom trading screens, web applications etc.) as well as tools for semi-automated trading. Data is usually imported and exported from PowerBot to a third party software via scripts. PowerBot is easily integrated into existing software environments and as a hosted service with standardized interfaces needs very low implementation time. All this is provided at a competitive price. Try it now and see why our customers are excited about the modern approach of our product. PowerBot's product approach is so much different from what we saw so far. It allows us to increase trading efficiency with minimal efforts and high flexibility. PowerBot is a product officially certified by EPEX, Nord Pool as well as HUPX and BSP South Pool and our company is certified as an independent software vendor (ISV) by these exchanges. PowerBot is developed on an API-first approach. Our service provides an OpenAPI for reading and writing to the intraday market, to which all application modules (GUI and algorithms) and scripts (importing and exporting) connect to. Due to the OpenAPI standard, the system automatically generates programming libraries. Creating an order at the market, retrieving the order book or the trades is usually only one command in your application. This is an extremely efficient way of creating algorithms or connecting interfaces. As all commands of PowerBot are stateless, your algorithms do not need to memorize data, which makes implementation of algorithms much easier. Due to the OpenAPI standard, PowerBot automatically creates programming libraries for nearly all popular programming languages, like Python, R, .NET Java, PHP or C#. This allows your applications to automatically ‚learn‘ how to speak to PowerBot. When creating applications for PowerBot or creating algorithms, all of the functionalities of PowerBot are automatically available in your programming project and are usually executed with only one line of code. PowerBot is a cloud application, so you do not need to maintain on-site servers to run the service. Still, each customer receives their own instance of our PowerBot application. Thereby we provide endpoints for a simulation and a redundant, two instances, production environment, which can be secured by IP restrictions. Alternatively, should this be of importance to you, PowerBot can be deployed on an internal server structure as well. PowerBot is a highly available solution with two constantly synchronized production environments to ensure that there are no downtimes in your trading. In addition, our hosting contract includes a 24/7 service-level agreement. Business continuity: Redundant standby servers (always-on) with independent internet connectivity take over automatically if a primary PowerBot server should fail. Disaster recovery: Offsite, monitored, automated daily backups are maintained for both primary and standby servers to enable rapid recovery in the event of disaster. Monitoring: All of the above services (security, continuity and backups) are continually monitored with immediate SMS alerts to system administrators in the event of any reduction of service-level. PowerBot is based on modern security standards. Each customer receives own, isolated instances of PowerBot which are hosted by our IT partner in separate datacenters. Our IT partner is also the only one that can access the servers and database, so the PowerBot team has no access to your instances. API keys are managed by the customer itself, who can generate them by using a master API key and the (secret to us) EPEX password. Our IT partner follows modern security standards to ensure business continuity and obviously has disaster recovery plans in place. 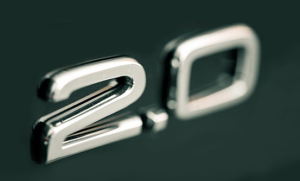 Physical security: PowerBot servers are located in an ISO 27001-certified data-center (ODC21 ) in Vienna, Austria. The data-center is equipped with 24-hour security personnel, access control, video surveillance etc. Network security: PowerBot servers are protected by firewalls configured and monitored by Armstrong Consulting’s network security team. Our product ensures fast execution of your orders at the market, as PowerBot only acts as proxy for a simplified communication to the exchange – there is no internal data mapping to proprietary data structures in our system. Execution times are close to ping times in PowerBot. The PowerBot API works with the data structure provided by the exchange, so you do not need to deal with proprietary data structures from a software vendor. This provides several advantages: First, you can use the exchange’s system documentation and get support from the market operations. Second, the system is less affected from upgrades or changes made by the exchange. Third, you can make use of all functionalities provided by the exchange’s system without explicit implementation in PowerBot. Fourth, there is less room for bugs and, as mentioned, execution times are shorter. Our database stores information received by the exchange, which can later be exported for ex-post analysis or completely synced to an internal database. The data gathered by our system provides valuable insights for analysis and is the data basis for our backtesting engine. Our code repository, which is available for all our clients, provides you with example scripts for algorithms, exporting or signal generation. Even our GUI is made available on an open source basis and allows you to adapt it to your own needs or to commit improvements via a Git repository. PowerBot is a product made by the experts on energy trading of Inercomp for other energy trading experts. As we have been in the energy business for quite some time now, we know our needs and therefore can imagine your expectations. Our knowledge and long-term experience ensures a highly efficient product, which is designed for professional traders. However, to make this dream come true, even we need some help and Inercomp teamed up with Armstrong Consulting. This is an IT consulting and software development company with a broad experience in the financial sector. This cooperation ensures a high level of competence and professionalism to provide you with a first class product. Inercomp is a Vienna based service and consulting company in energy trading. The company was founded by a small team of people from the energy sector, back in 2008, with a focus on services for energy-intensive industries. Over the years, Inercomp expanded its focus to utilities, including services like market research, operations support and mathematical optimization. Armstrong Consulting is also based in Vienna and was founded in 1994. The company designs, develops and deploys eBusiness solutions for leading companies worldwide and offers a full range of software development services. Armstrong Consulting creates state-of-the-art software solutions and has a wide-ranging know-how in back-office systems for the financial sector.